Thirty years ago today – on June 28, 1988 – came the news: Berry Gordy, Jr. had sold Motown Records for $61 million. The wire services broke the story first. MCA put up 20 percent of the price, reported the Associated Press, and private investment firm Boston Ventures supplied the rest. “The long-rumored purchase of the nation’s best-known black-owned business gives MCA the Motown record label,” explained the AP bulletin. The following day in California, where Gordy’s record company had been headquartered for 16 years, the news made the business section of the Los Angeles Times. (The paper’s front page reported that Lionel Richie had been assaulted by his wife, Brenda, and that she had been arrested.) Further east, the Detroit Free Press briefly mentioned the transaction on page one, although that was upstaged by a five-paragraph report, also on the front page, that Stevie Wonder was considering running for mayor. Among those immediately affected by the ’86 about-face were Lionel Richie and Stevie Wonder. Gordy had needed the latter’s consent for the sale, a stipulation which was part of an earlier contract negotiated by the musician’s astute attorney, Johanan Vigoda. The team appointed by Gordy to handle the bargaining in 1986, including label president Jay Lasker, had gained Wonder’s approval in return for a bonus payment of more than $3 million. The superstar and his lawyer were chagrined when the transaction fell through. For his part, Richie had been looking forward to a new Motown contract under MCA and its music group president, Irving Azoff. The singer was at the peak of his commercial clout as Gordy’s representatives were haggling with MCA. His three solo LPs had sold many millions, and in the final Billboard album chart of 1986, Dancing On The Ceiling had returned to the Top 10, while the star was earning substantial sums from his current North American concert tour. Azoff was a central figure in the sale scenario, and he had been among those Gordy invited to his home just before Thanksgiving in 1986 to discuss it. He went in the company of the most senior suits of MCA Inc., chairman and chief executive Lew Wasserman and president Sid Sheinberg. They learned that Gordy, who greeted them with his loyal financial advisor Harold Noveck and Jay Lasker, was prepared to sell Motown Records for $70 million. After lunch, according to Lasker, some of the meeting principals decamped to Azoff’s house to begin seriously digging into the financials. Azoff was well acquainted with Lasker; this dated from when the former was personal manager of Steely Dan and Joe Walsh, and the latter headed ABC Records, to which those artists were signed. Azoff was also familiar with the fortunes of Motown, since signing a U.S. distribution deal between MCA and Gordy’s firm three years earlier. 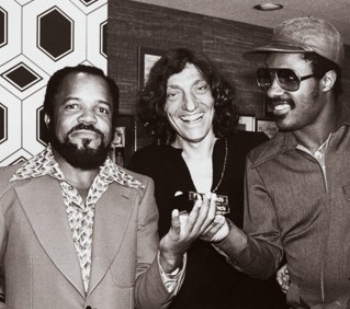 The fly in the ointment was Wasserman; he is thought to have believed Motown wasn’t worth even a quarter of Gordy’s asking price. Nonetheless, talks continued. On Monday, December 15, 1986, some of the group gathered again at the Universal City headquarters of MCA Inc. This time, Gordy was absent – and so was Wasserman, perhaps recovering from the previous Friday’s gala celebration of his half-century with the corporation, held at Stage 12 on the Universal lot. The black-tie audience had toasted Hollywood’s most enduring dealmaker; among the performers that night was Gladys Knight, by then an MCA Records artist. Azoff may have persuaded Wasserman to reconsider Motown’s value. At the Monday meeting, it’s believed that Sid Sheinberg offered to Jay Lasker a number near Gordy’s $70 million target, but said that it should be offset by, for example, some of what MCA had paid Motown to secure U.S. distribution rights in 1983. Negotiations advanced. Gordy must have been sufficiently confident in the prospective outcome, because he was said to have taken off for vacation in Hawaii during this time. But as word of the transaction began to circulate, Gordy came under pressure from senior figures in African-American political and entertainment circles. They included Clarence Avant, an éminence grise of the music industry, and civil rights crusader Rev. Jesse Jackson, to whom I spoke while reporting the rumours for trade magazine Radio & Records. It was evident that the reverend and others (such as Quincy Jones) were concerned about Motown’s future ownership. In addition, there was talk that Lionel Richie was putting together a consortium of artists to bid for the company. In the event, Gordy scrapped the sale on the day that the paperwork was to be signed, December 31, 1986. (The deadline was important, because U.S. tax laws were changing in the new year, to take a larger percentage of income gained through transactions such as this.) He admitted that he was bothered by some of the conditions and restrictions in the proposed deal. “One I could not live with was not being able to use my own name in the business for five years,” he wrote. The Motown founder may also have been persuaded that his record company’s profits could be improved, and that it would be worth more if sold later. The firm had suffered significant financial losses in 1979-80, perhaps as high as $10 million, but the red ink turned black during the early ’80s under Lasker. He achieved this, in part, by marketing the back catalogue during the dawn of the compact disc era – more so than by breaking new artists. By 1986, Motown Records’ annual profits were said to exceed $8 million. Perhaps Gordy’s personal worth gave him some breathing space, too. In October 1986, the annual Forbes list of the 400 richest Americans pegged his fortune at $180 million. We know the eventual outcome, of course, and have seen that Motown’s image was not permanently stained by the sale to corporate America. It helped that one of the record industry’s most accomplished black executives, the late Jheryl Busby, gained a small ownership stake from MCA during the process. Subsequent acquirers PolyGram and Universal Music have, by and large, kept the faith, preserving the Motown legacy and brand, while investing in its catalogue preservation and in new talent. Oh, and Stevie never did run for mayor of Detroit. Music notes: When the $61 million deal was officially announced, there were no Motown releases among the week's 100 best-selling albums according to Billboard – one measure of why the company was being sold. On the trade magazine's Hot 100, there was but one Motown single, and that was a reissue: the Contours' 26-year-old hit, "Do You Love Me," made popular again because of its placement in the movie Dirty Dancing. The record's second time around on the charts meant more income for its writer/producer, a certain Berry Gordy, Jr.